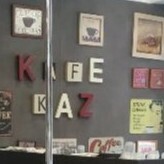 Kafe Raz joined our Mission to help provide access to “Clean Water for All by 2030”. This Mission was initiated by the United Nations. A big thank you to Kafe Raz’s team and customers for joining this extremely important mission on 18 January 2018. "Best value breakfast I've found anywhere near my hotel at World Square. Not only was it cheap but the staff were smiling, the breakfast wrap was delicious and the coffee was great. I'll be back here every morning rather than utilising the overpriced breakfast buffet at the hotel!"